The Sherman Crab Flail tank was the powerful culmination of a series of mine-clearing flail tanks developed during World War II. Here, David Fletcher recounts how the Sherman Crabs were among the first tanks ashore on D-Day and as the war progressed they were in constant demand both for formal attacks and more incidental operations. Following the development of the tank and its use in the war, he details the US Army's initial lack of interest in the flail, but how after cooperative actions with the British, they too decided to adopt the type themselves. 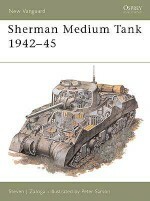 In addition to its special mine-clearing role the Sherman Crab was also capable of fighting in tank duels, and this book includes dramatic accounts of its use by the famous 79th Armoured Division and the US Army. The author explores the beginnings of the design in the Matilda Scorpion and Baron flails, developed for the Valentine and M3 Grant tanks, through to the Sherman, and particularly the Crab version. This detailed account of one of the most interesting tanks in the Funnies series is a delight for any modeller or tank enthusiast. David Fletcher was born in 1942. He has written a number of books and articles on military subjects and is currently the historian at the Tank Museum, Bovington, UK. He has spent over 40 years studying the development of British armoured vehicles during the two World Wars.Tony Bryan is a freelance illustrator of many years' experience who lives and works in Dorset. He initially qualified in Engineering and worked for a number of years in Military Research and Development, and has a keen interest in military hardware - armour, small arms, aircraft and ships. Tony has produced many illustrations for partworks, magazines and books, including a number of titles in the New Vanguard series.